We are the leading manufacturer of Distribution Transformer and our product is made of good quality. Distribution transformer for industrial application is available ready for sale in 3 phase with primary voltages of up to 22000 V and secondary voltages 433 V.
The capacity range is 160 KVA. Ready for sale. 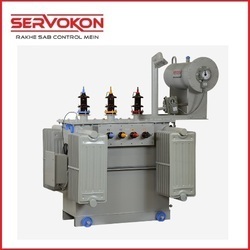 Our entity is among the trusted names, involved in offering 22 Kv Distribution Transformer Dry Type. Experts make this product as per client’s demand using the advanced techniques. Built using superior quality components, our 1250 KVA Transformers spell only high performance in testing times. Because of their sturdy built, high quality components and its performance, these transformers are highly in demand in national and international markets. 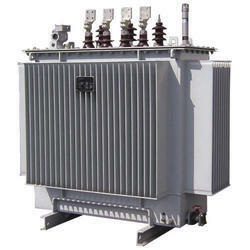 Under the supervision of our experienced professionals, we are providing high quality range of Distribution Transformer. Our organization has gained the leading position by manufacturing, trading, importing, exporting and supplying the best range Distribution Transformer. - It provides the final voltage transformation in the electric power distribution system.